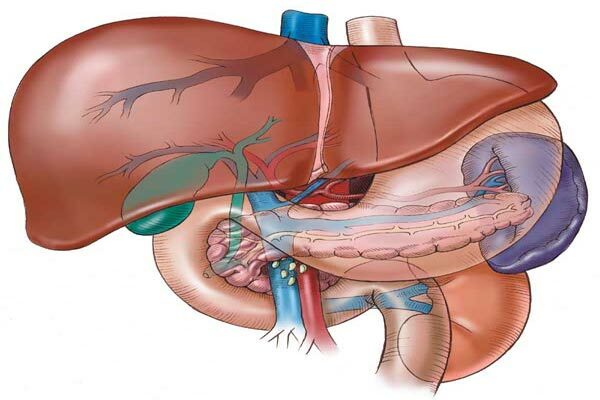 The liver can become toxic due to abuse. If the liver is badly degenerated, cleansing must be done in stages. Start with short juice fasts and then increase to fast over five days. A veggie juice combination with lemons and beets can benefit the liver. that may Heal Liver Disease. Thank you. I sure wish my aunt would have done the juice fasting, when she had liver cancer. I believe that juice fasting could have saved or prolonged her life. She was one of those people who did not like or eat much vegetables or fruits. Unfortunately she ate donuts daily and plenty of red meat and cheese. She did not drink alcohol or anything like that and she was thin, so we were real surprised to learn of her liver cancer. But definitely her diet was off balance. She was given a really nice (juicer), and she used it around twice (to be polite) as she was, but that was it, unfortunately. Then she made the humorous comment that she did not want to eat anymore grass as she put it. Unfortunately, she did not take the fresh fruits and vegetables or juicing seriously. Perhaps if she would have, she may still be living today. She was full of energy before her diagnosis, but she also drank a lot of coffee, which I personally don’t think is healthy. She died in 2006. She was like a mother to me and several others. (Thelma Jane Johnson 1937-2006.) -Author Diana Neiderhiser. Hi I have a question, I have fasted in the past many times..the longest 17 days and afterwards I had a cat scan done as I had intense abdominal pain and they found a spot on my liver..5 years later I stop a 21 day water fast at 14 days I was getting really sick, beyond detox and throwing up bile and turning green..I have since had another scan because of digestive issues and the scan showed a fatty liver!! What I am reading is that rabid weight loss can cause a fatty liver as I am not really over weight at all..I also have PCOC, chronic cyst on my ovaries and reading that fasting can make that worse too..the ironic part is that when I found this out, my first thought was to fast to detox but from what I am reading, I am not so sure that is a good idea..any input I would appreciate! Hi, sorry that I posted twice..I just never can find the pages after I leave a post and not sure where to read your responses..Thanks for responding though..I will stick to a juice fast then! You do not need to break the juice fast for any sedative. I would be also using the Kelly Protocol, http://www.tumorx.com package six. I was directing holistic cancer treatments at a Philippine hospital and we saw many positive results with juice fasting of 50 days but with terminal cases it was not enough. Thanks Tom! That’s the reassurance I needed. I will also check out the Kelly protocol.thanks again..
Hi, can one take milk thistle, beta carotene, garlic and multiple vitamins to do water or coconut fasting? If possible, can she add thymus tissue extract supplement? She finds difficult to drink beetroot juice and a lot of the vegetable juices. It may not feel good without some juice. Try cantaloupe and pineapple or orange. Thanks Tom. I will send you a feedback soon.